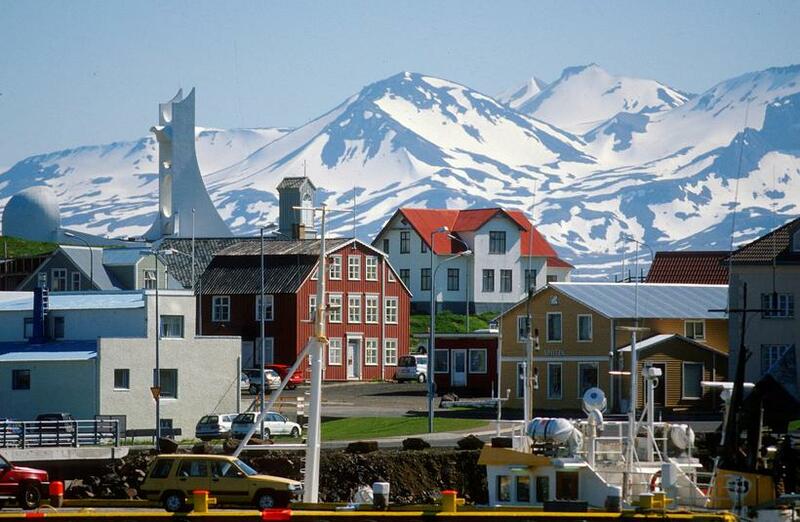 The Snæfellsnes Peninsula is renowned for beautiful nature and charming villages. 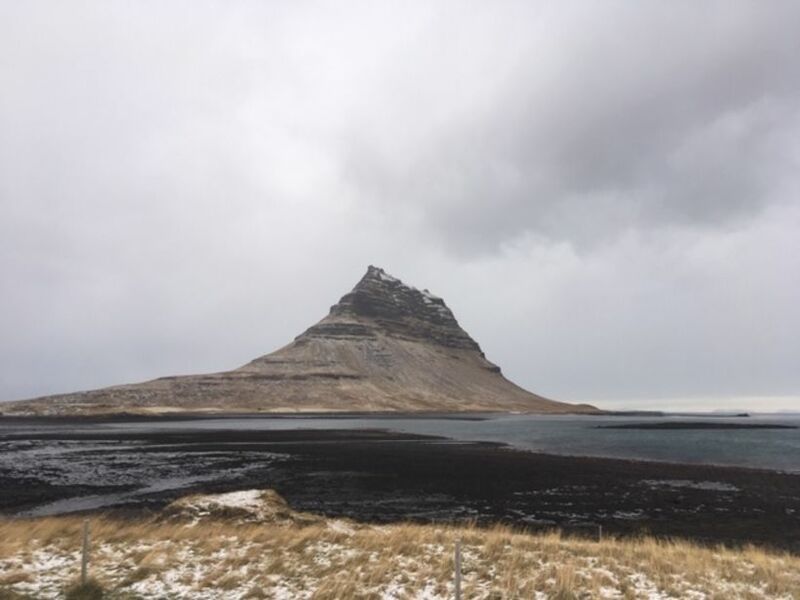 There are many things to do and see there, and most of them can be covered in a day trip from Reykjavik, even in winter as I tried and tested recently. In winter/early spring make sure your car is equipped with good winter tires and do drive very carefully as roads become icy. In summer of course, you can also use the evenings for driving as it's daylight nearly 24 hours per day. 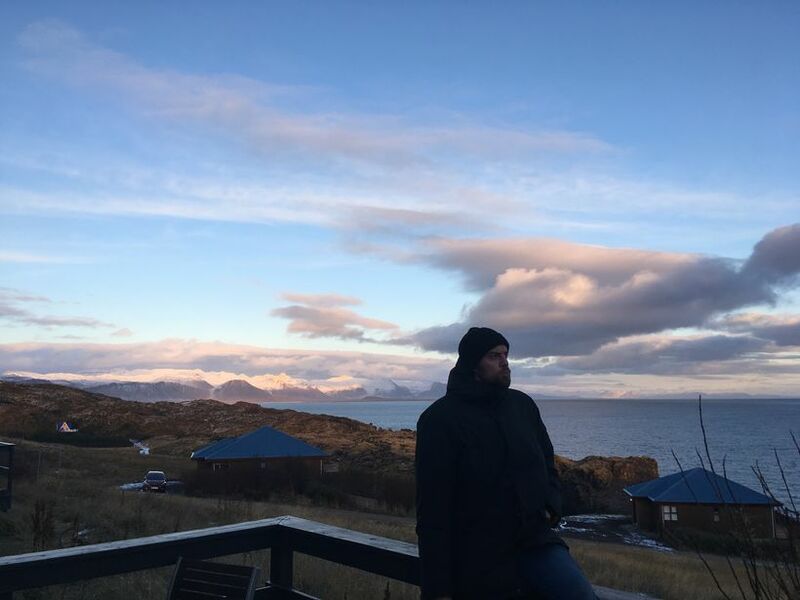 Our destination was Fosshótel Hellnar, a charming country hotel in a stunning location, perched by the cliffs at the edge of the wild coast of this enchanting area. The hotel which used to be a kind of yoga/ wellness retreat was purchased by the Fosshótel chain some years ago and is open all year except for the three darkest winter months. Hellnar is a tiny village in Snæfellsnes. 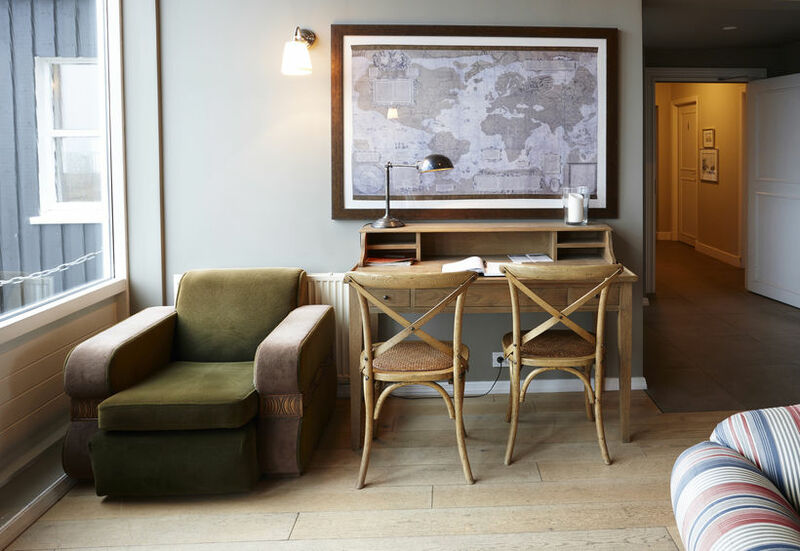 The hotel at Hellnar is decorated in a sophisticated and cosy Scandinavian style, the lobby offers huge windows for spectacular views, a fireplace and hues of soft blues and browns. 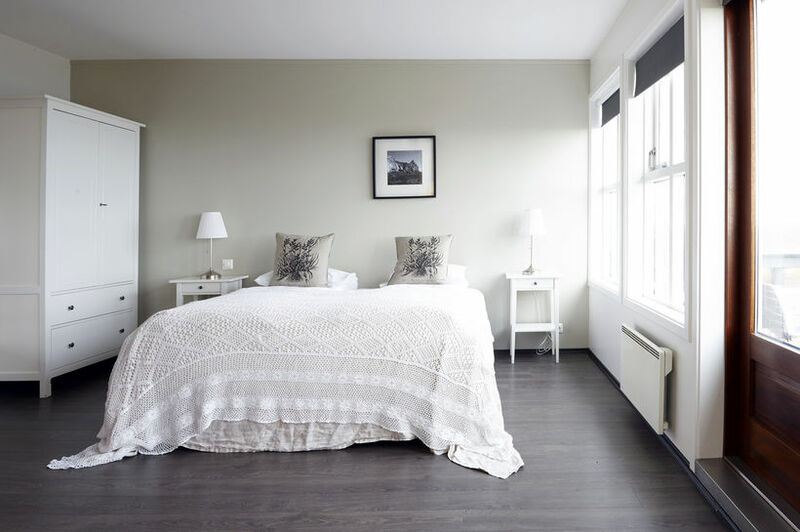 Rooms are very pretty and very comfortable with traditional lace bed spreads, amenities like a TV, coffee and tea and free WiFi. 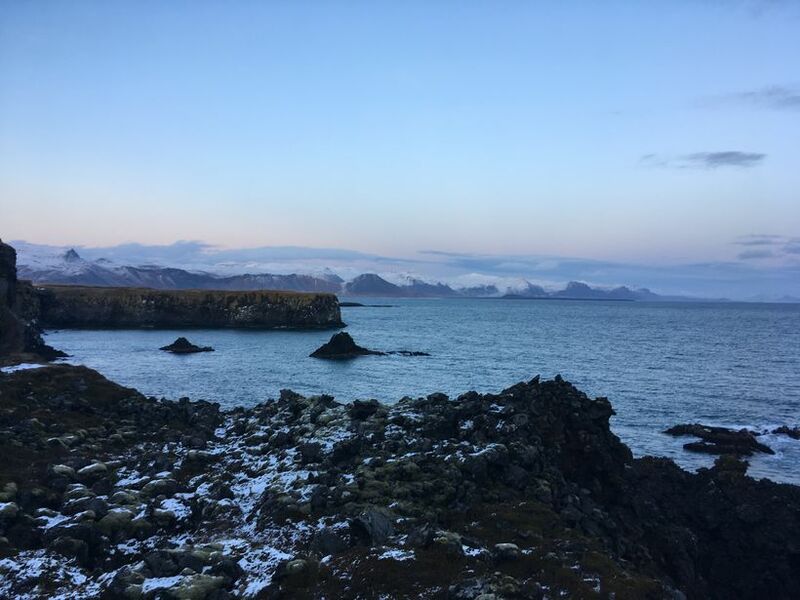 We began our day by hiking along the coastline from the hotel towards the picturesque fishing village of Arnarstapi. It's a short drive from Hellnar but I thoroughly reccommend the hike which takes just over an hour there and back. 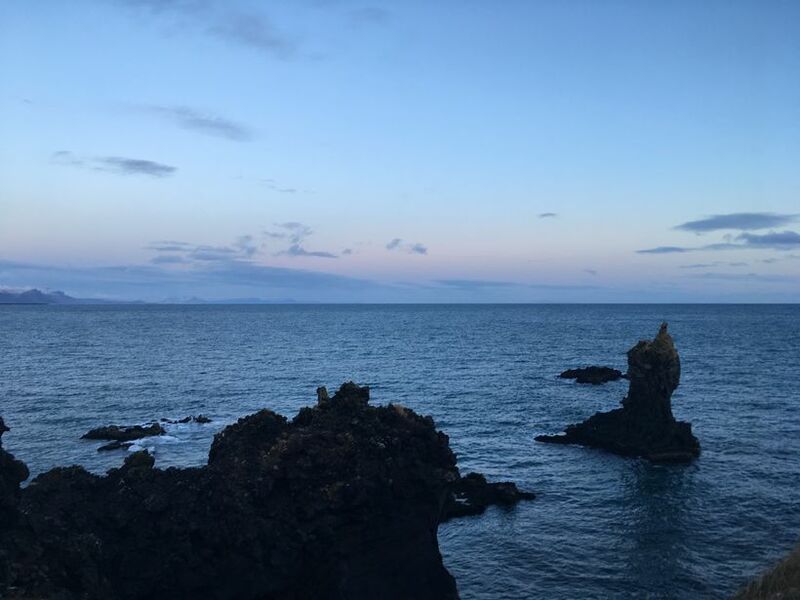 We hiked back to Hellnar in the twilight, and ended our evening with a fantastic three-course meal at the hotel restaurant. Fosshotel Hellnar presents a lovely little restaurant inside the hotel serving unique Icelandic dishes in a unique atmosphere. 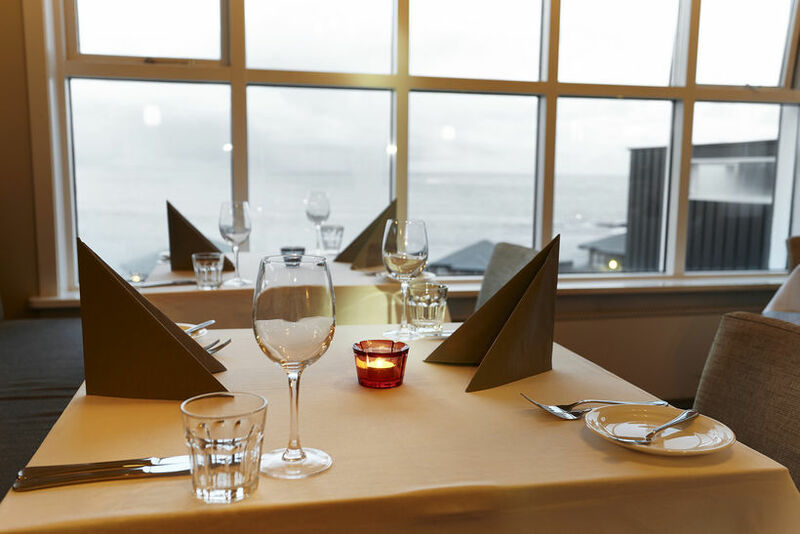 The restaurant offers excellent views of Hellnar's beautiful cliffed coasts where Orcas are regularly spotted swimming in the ocean. 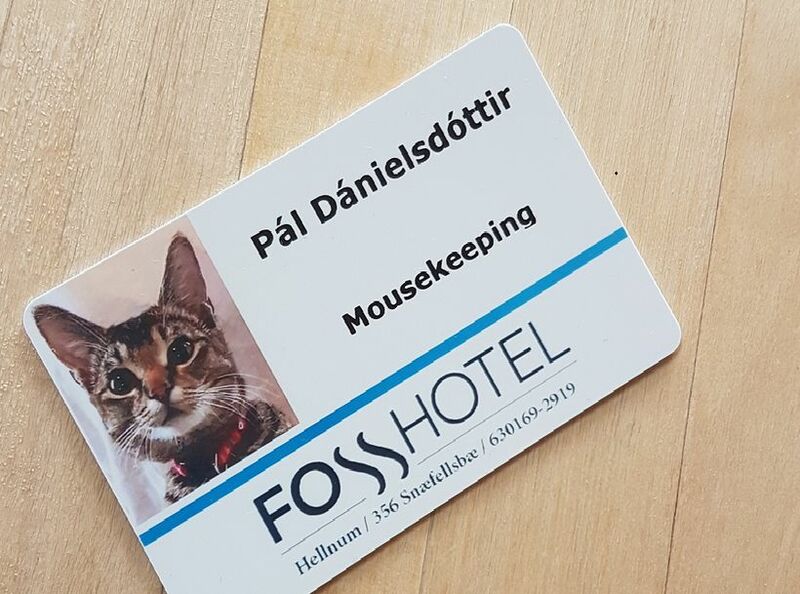 The other highlight of our day was meeting one of Iceland's most famous cats- Tabby cat Pál Dáníelsdóttir who lives at the hotel and works as a Mousekeeper. She even has her own staff card to prove it. 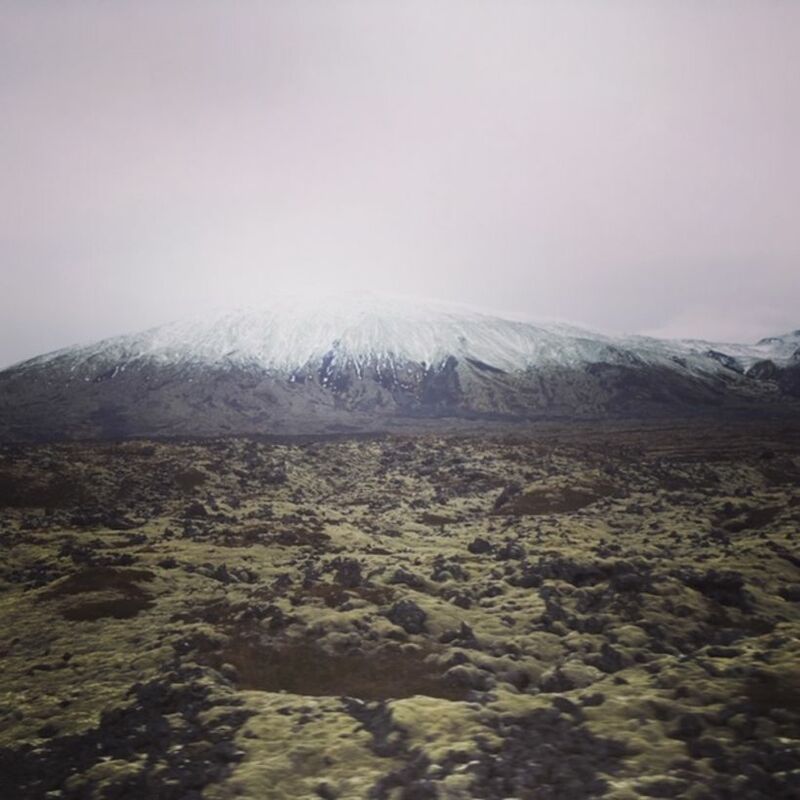 After enjoying breakfast on Saturday we headed further into the Snæfellsjökull national park, a beautiful drive where you are surrounded by lava fields and gorgeous coastal formations. Our first stop was the Vatnshellir lava cave. You can get a 45 minute tour of the cave with Summit Guides. The cave itself is an 8000 year old lava tube created by volcanic eruption from a nearby crater in the Purkhólar crater family. As the lava rushed down the hill in a lava river it began to cool on the surface, creating a crust on top of the lava river. As the eruption stopped, all the lava from underneath this crust continued to drain out. That eventually left behind empty tube with roof on top that gradually cooled down. 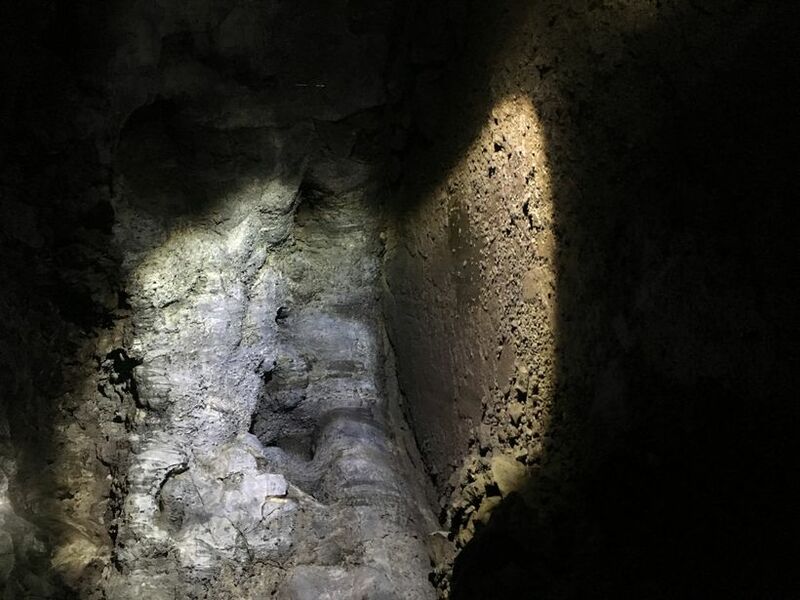 The company provide a helmet, head lamps and of course, a guide, to help you descendd into total darkness and silence, and where you can spot increbible formations with your headlights. A very exciting activity and make sure you dress warmly as it gets cold down there! 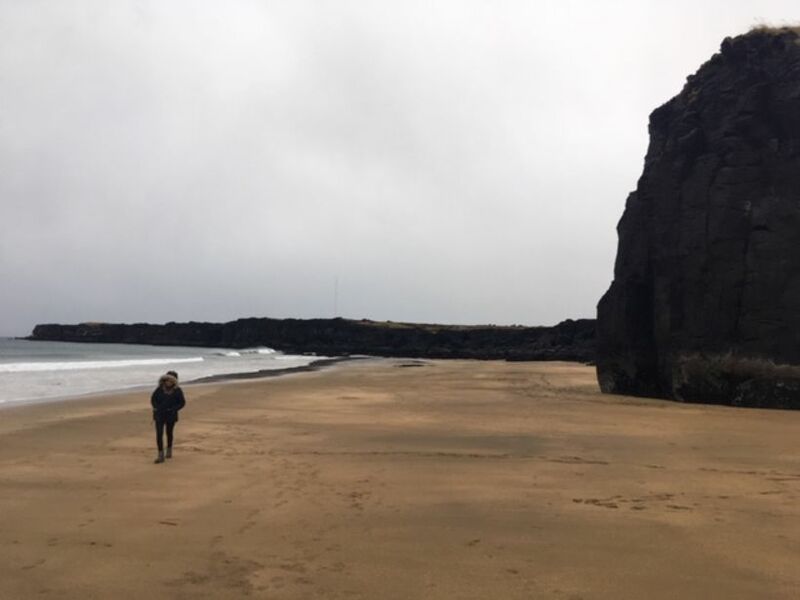 There are black beaches all over Iceland. In fact, I remember clearly the day I saw white sand for the first time. Snæfellsnes has long stretches of black sand beaches, one between Grundarfjörður and Ólafsvík stretches particularly long. It’s a great place to park the car for a moment (just don’t leave it on the road), walk down to the beach and admire the scenery. 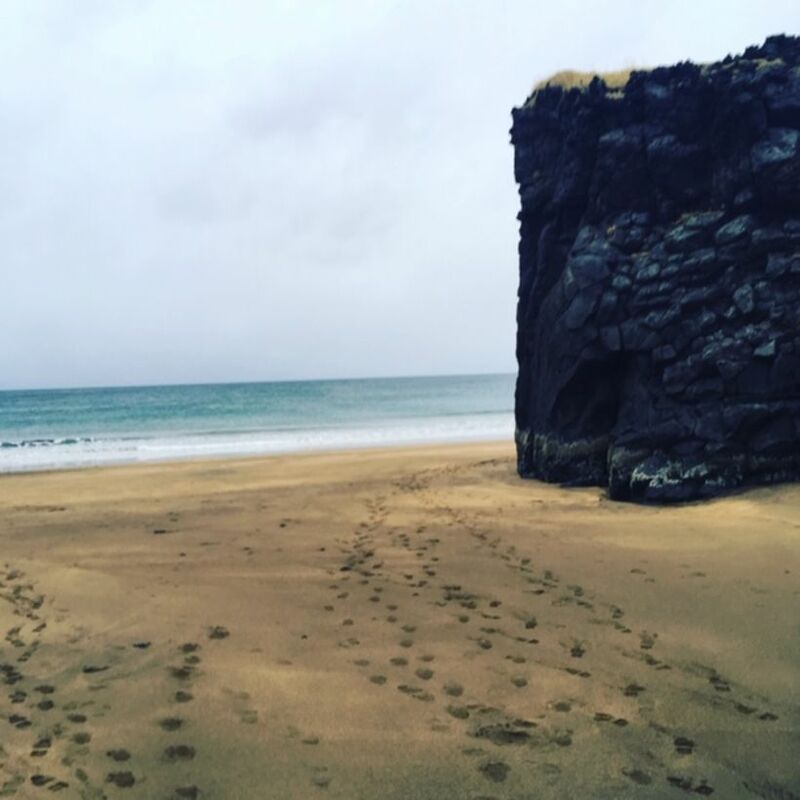 We stopped at Skarðsvík beach which is absolutely stunning with its golden sands and black cliffs. 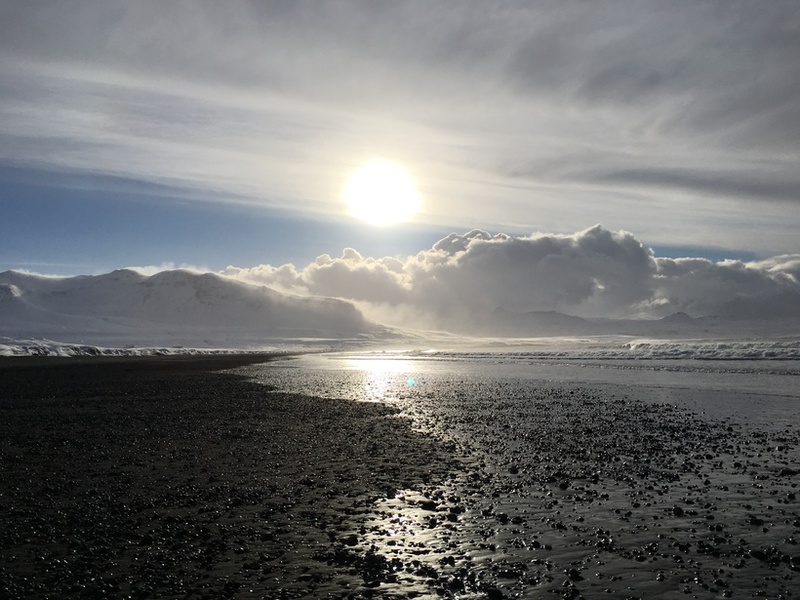 Djúpalónssandur is a black pebble beach situated in the western part of Snæfellsjökull National Park, only a short drive from the main road. The pebbles on the beach are surrounded by folklore and elve-tales. I reccommend taking a hike around the coast to see the interesting and very different rock formations of the area. One note of warning though, the waves at Djúpalónssandur can be very dangerous so don't go too close to the water's edge. 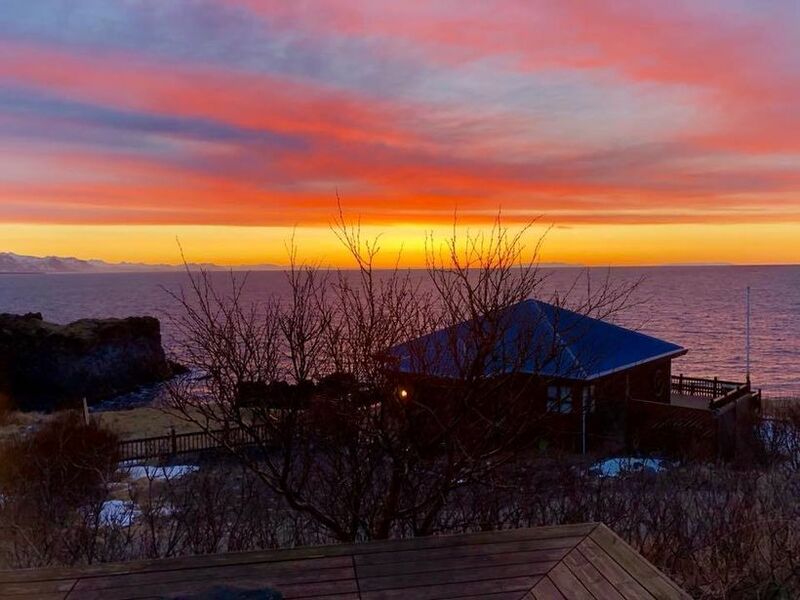 Búðir is a romantic spot set in the middle of a lava field next to a beautiful sandy beach. There you will find a black wooden church and a graveyard, the only reminder of a once vibrant 19th century fishing village. 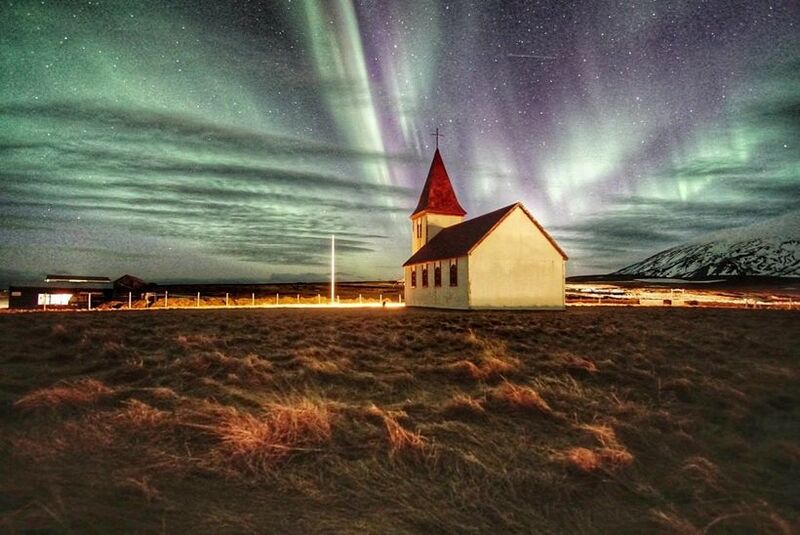 The first church which was built at Búðir dates back to 1703 and became an annexe church from Staðastaður, but churches have been rebuilt here several times. 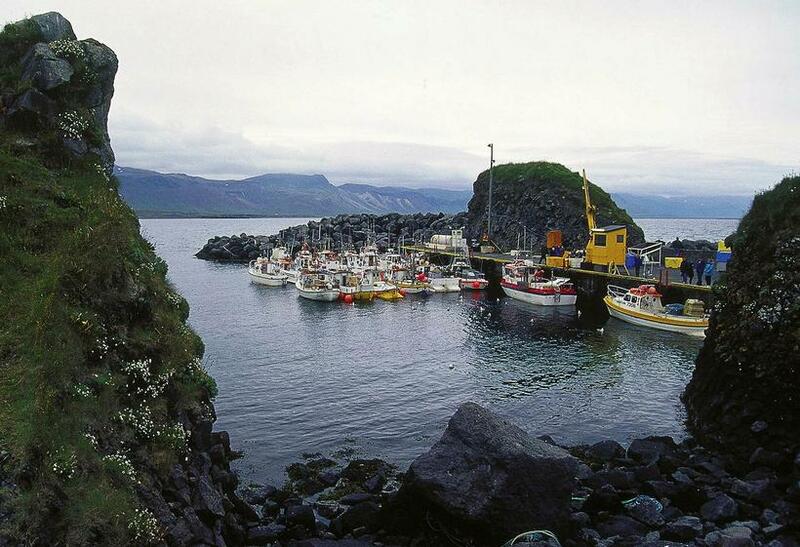 Fishing has been a vital part of the economy of Snæfellsnes for hundreds of years, and the towns of the area are all charming fishing villages. 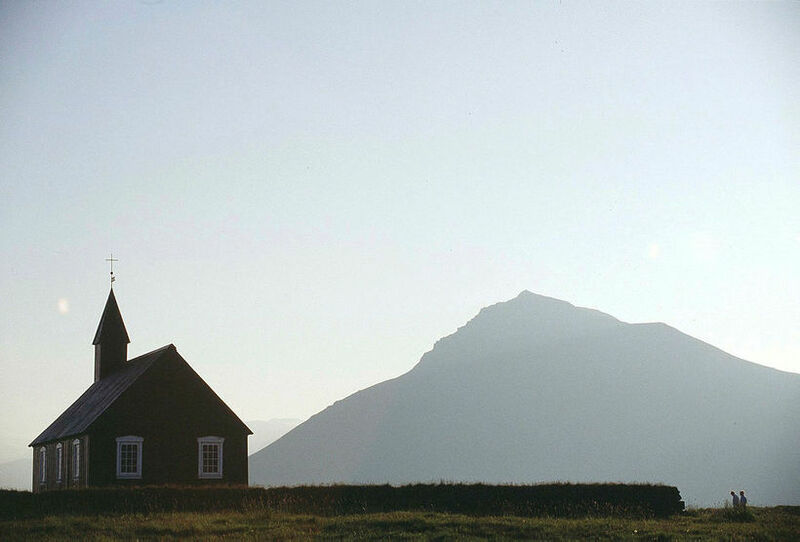 Small houses gathered around a church, surrounded by mountains. 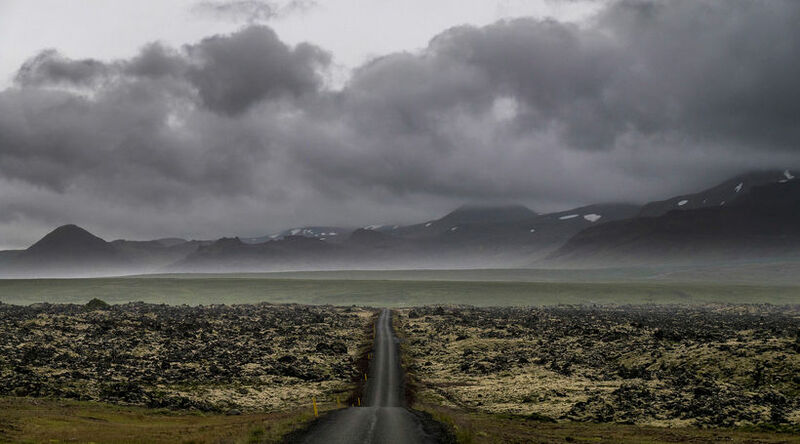 This could be the description of both Grundarfjörður and Ólavsvík (a little further west), both beautiful villages, lovely for a short drive around before heading back to Hotel Hellnar for another hearty meal and a glass of wine by the fireplace whilst watching the Northern Lights outside the window. Northern Lights at Hellnar. Photo/ Fosshótel Hellnar. On Sunday we headed to Stykkishólmur, a charming village built mostly in a traditional old Icelandic style. We headed to the beautiful harbour, where you can admire the surrounding small islands. Then a drive around town which is one of the scenes of Ben Stiller’s movie, The Secret Life of Walter Mitty, and an inevitable stop by the futuristic church. There are plenty of nice restaurants in town which make for a great lunch stop. 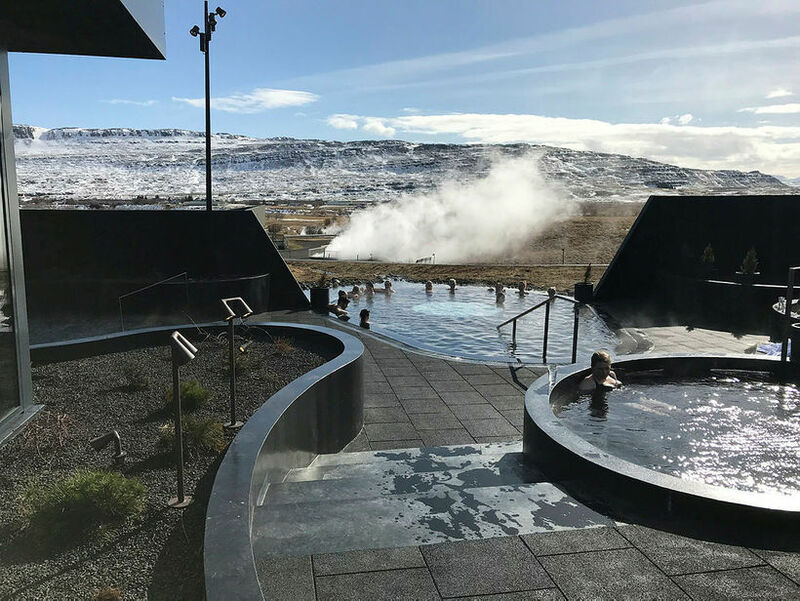 On our way back to Reykjavik we stopped at Krauma, a very sophisticated geothermal bath that opened in 2017 at the Deildartunguhver hot spring. The spa offers five outdoor hot pools, one cold tub and two steam baths. The hot tubs offer fantastic views of the surrounding nature and you can enjoy a drink from the bar in the pool whilst you observe the landscape. 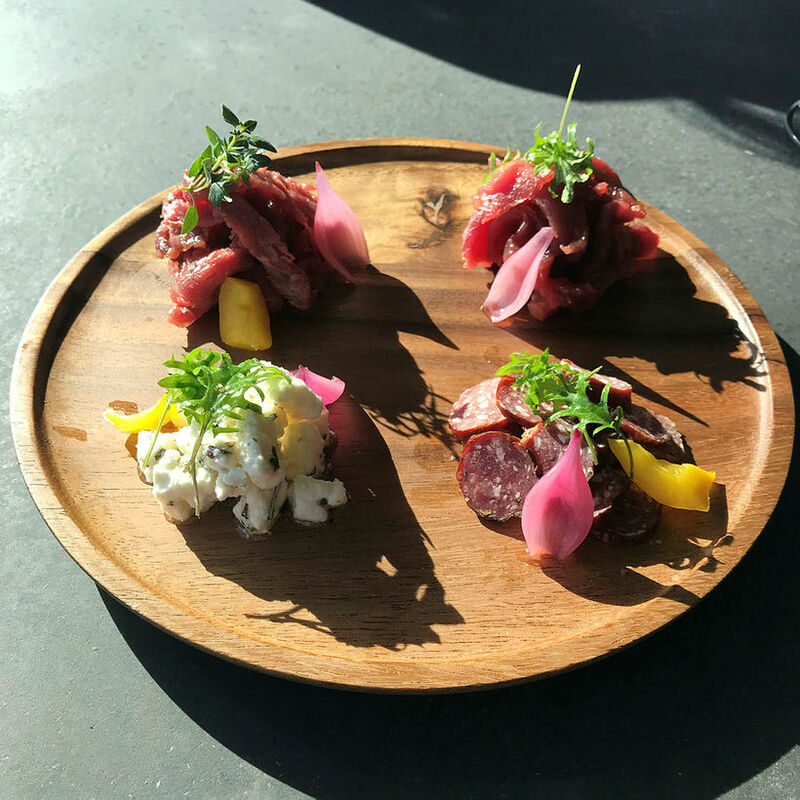 There's also a relaxation room with a fireplace and an excellent restaurant that offers local farm produced fare with a modern twist. 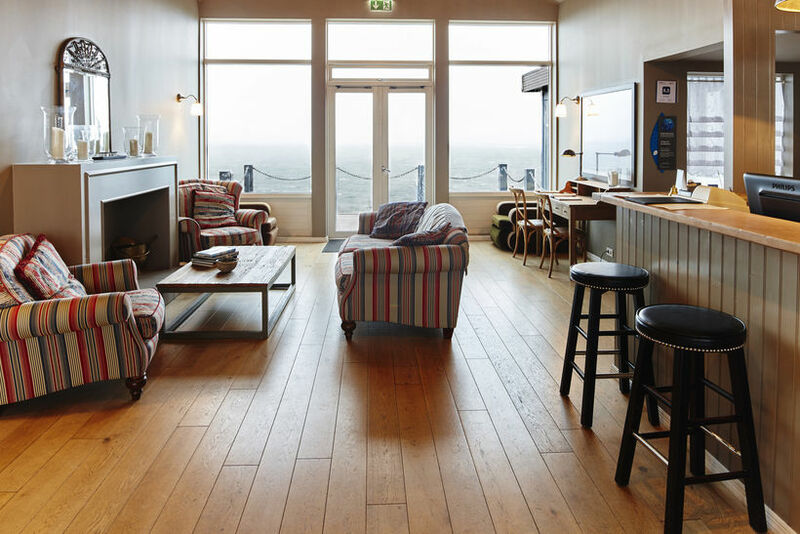 It's the perfect place to get refreshed, to unwind and to complete your road trip to West Iceland before heading back to Reykjavik. The sophisticated Krauma baths are a perfect pit-stop. Photo/ Anna Margrét Björnsson.